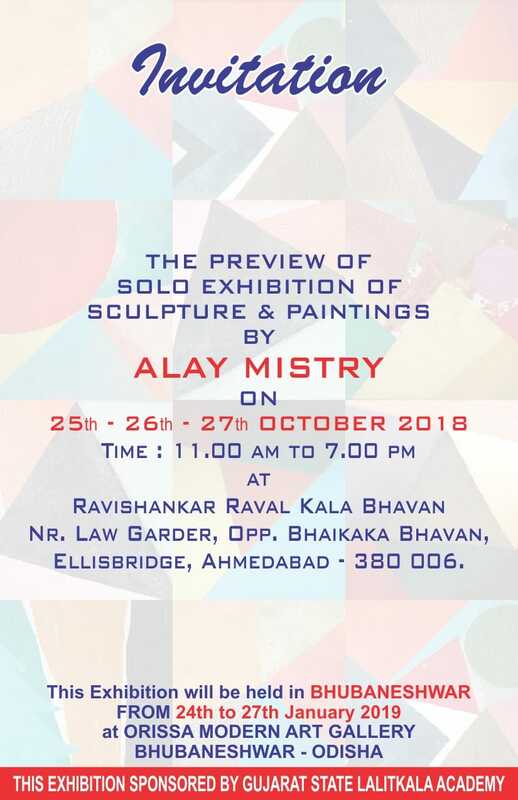 The preview of Solo Exhibition – ALAY MISTRY. The Exhibition will be held in Bhubaneshwar From 24th – 28th Jan,2019 at Orrisa Morden Art Gallery. This exhibition is sponsored by Gujarat State Lalitkala Academy.